2014 is going to be a year to remember. 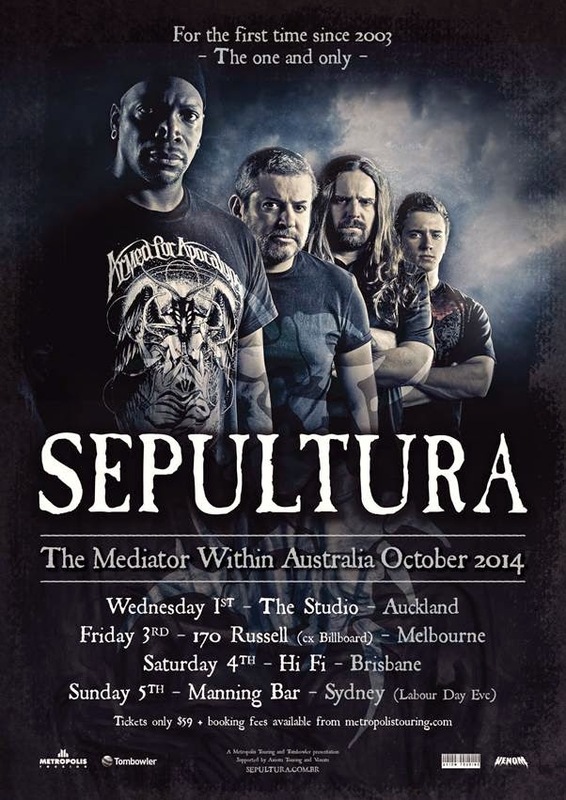 It marks not only three decades of the mighty SEPULTURA’s solid career, but also the Brazilian metal’s long overdue return to Australia! On Sale 9:00am Thursday 22nd May! Furthering the arrangement between 343 Industries and Dark Horse, which has to date, produced two blockbuster comics series with canonical storylines written by writers from the video game franchise, this news is sure to excite gamers and collectors alike! The product category was created in 2005 with the massively successful line of ships from Joss Whedon’s “Serenity,” which was soon followed by a popular line based on Bioware’s “Mass Effect” series, to great success and the unanimous approval of gamers, collectors, and comic fans! American thrash metal behemoths, BATTLECROSS, will join Machine Head, Children Of Bodom and Epica on a live takeover this Fall! Set to commence on October 4th in Denver, the trek will trample its way through two dozen cities, coming to a close on November 2nd in San Diego. All tickets will go on sale this Friday at 10:00am Eastern. Comments guitarist Tony Asta: "What an honor to be on this tour! 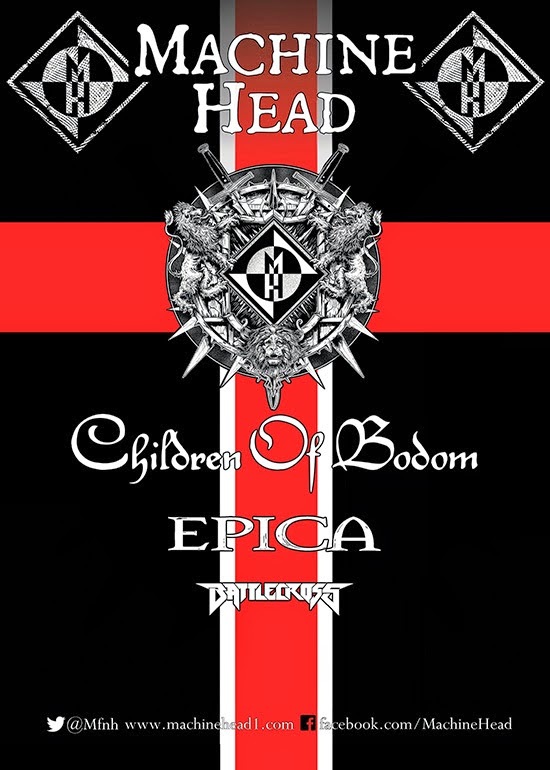 We're really stoked to reunite with Machine Head and Children Of Bodom, both legendary bands and friends from last Summer's Mayhem Fest, and to see what Epica is all about. This is a tour with something for every metal head and we can't wait to be bring it brutal throughout the USA and Canada, banging heads and melting faces from coast-to-coast. See you in the pit!" In related BATTLECROSSisms, the band will also be heading to Mexico City with Black Label Society, and then on to Brazil for three dates with Killswitch Engage and Memphis May Fire. 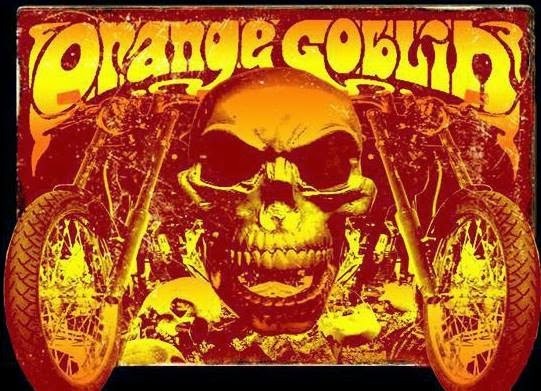 Status Update By Orange Goblin Orange Goblin Update: New Album Finished and Touring News!! The brand new Orange Goblin album is now finished and will be sent for mastering in the next few days. The title, artwork and release dates will all be revealed in the coming weeks. The band will hit the road in October and November, touring the UK and Europe with the legendary Saint Vitus. Following this, they'll be heading out all over the world in late 2014 and all of 2015 in support of the new album. Orange Goblin are already confirmed for Hammerfest VII in March 2015 but expect lots of tours and festivals throughout next year and beyond. Tickets for the following shows are on sale now!